Knot twist knee length maternity dress is cut at a flattering knee length, the knot twist detail on the bodice creates a flattering gather across the bust and Bump. 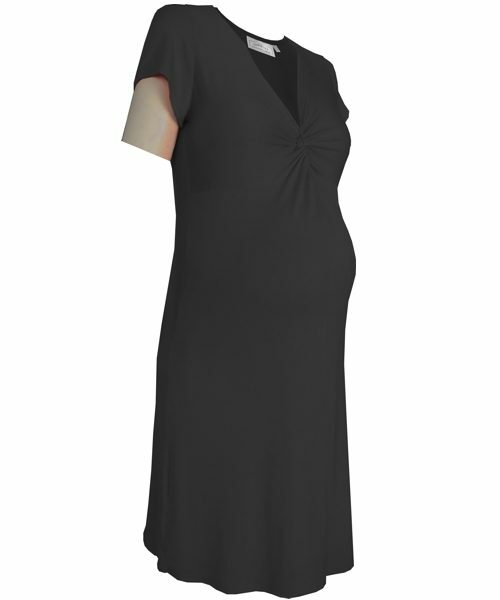 This dress has a simple elegance to it, that will work for well for your maternity wardrobe needs. Looks great for work, casual every day maternity wear and everything in between. 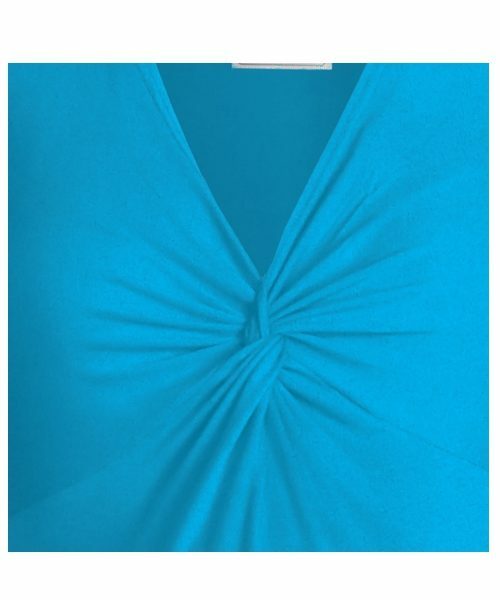 The fitting bodice cut with a gentle flare over your bump and hips makes it a classic flattering shape for all women. Note that this is a great dress for after your baby arrives too, the fabric twists gently drape flat. The short sleeve will keep you cool. Knot twist knee length maternity wear dress is cut at a flattering knee length. Tthe knot twist detail on the bodice creates a flattering gathers across the bust and Bump. This dress has a simple elegance to it. Your dress will work well for your maternity wardrobe needs. You can accessorize appropriately for different occasions, making this a versatile option. Looks great for work, casual every day maternity wear and everything in between. The fitting bodice cut with a gentle flare over your bump and hips makes it a classic flattering shape for all women. Note that this is a great dress for after your baby arrives too, the fabric twists gently drape flat, hiding your post pregnancy bump. The short sleeve will keep you cool fresh and comfortable.